Cabinets provide more uses than you might think-anywhere in the house! 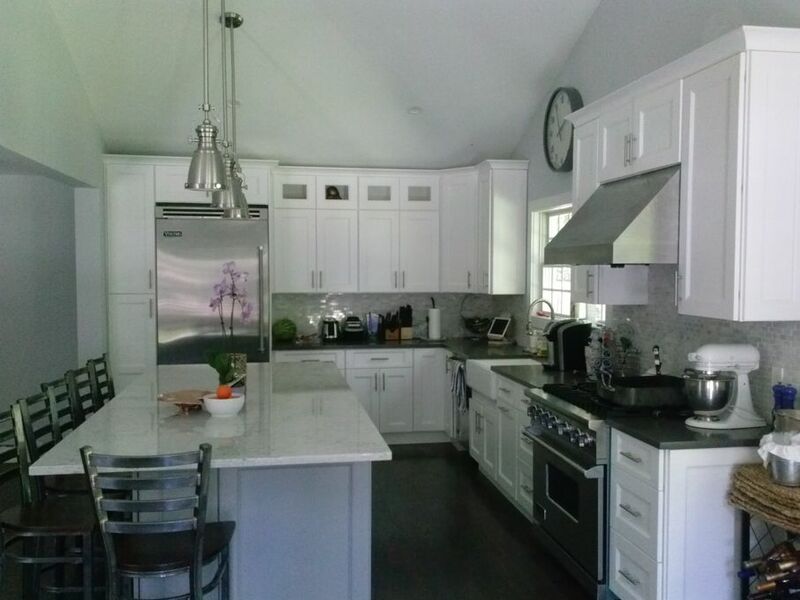 When we think about cabinets, our minds often drift to kitchens because that’s the main room in any house where cabinets are an absolute necessity. However, cabinets aren’t just in kitchens. Take a look around your bathrooms, living room, and maybe even your study. You’re bound to find cabinets all around your home, although you probably haven’t given any of them much thought. Speaking of which — have you ever closed your eyes and imagined your own living room converted into an expansive media room with deep custom-built shelves to provide ample space for all your movies, games, books, and more? Cabinets are not only essential, they’re truly transformative. They can turn a simple house interior into a customized custom-fit home of your dreams. 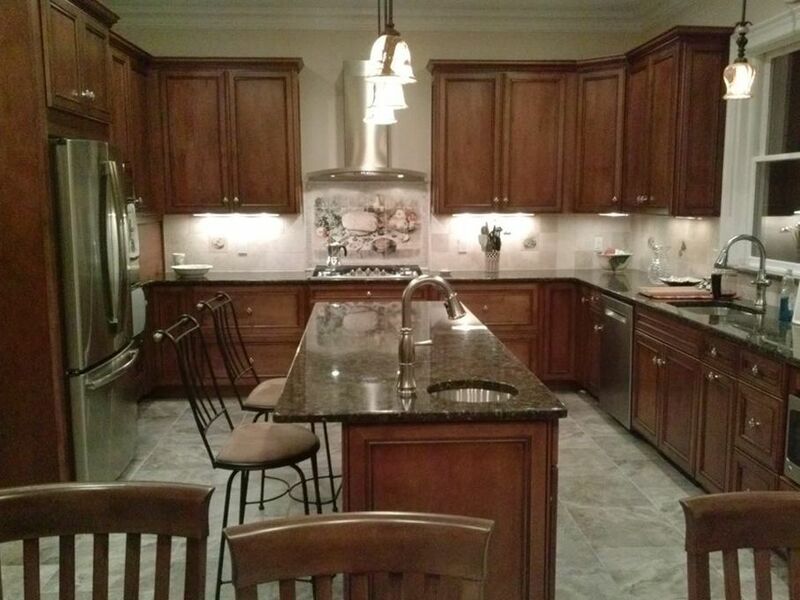 Everyone loves good cabinets, which is why everyone in Mount Vernon, NY loves Upgrade Cabinets. 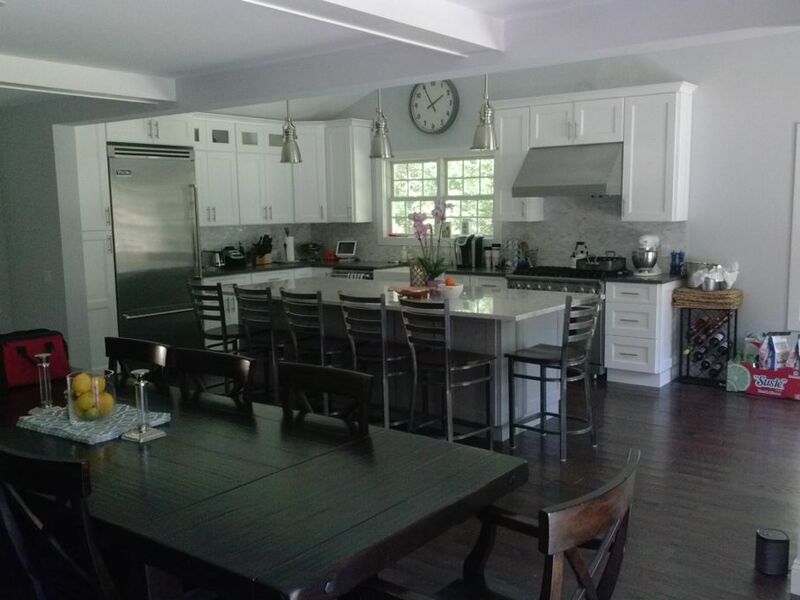 John Fortugno has been helping homeowners across the region design and realize the best cabinets for their space and budget for over 40 years. John is not only talented, he’s a class-act and we’re inspired by his knowledge and devotion to the craft. Let’s take a moment to discuss why the right cabinets make all the difference in any home. The way kitchen cabinets are situated around the room dictate your total storage space and the room’s overall flow. You may have noticed that most kitchens contain cabinets that either touch or nearly touch the ceiling. Not only does this design trend help maximize storage space (giving you some space to place little-used kitchenwares because – let’s face it – you only need those tortilla warmers and sake glasses a few times a year anyway), it also makes your ceilings appear taller. It’s a double bonus! But it isn’t just layout that’s important. Quality matters when it comes to kitchen cabinetry. In recent years, home buyers (and many homeowners) have been overlooking cheaper materials such as particleboard in favor of solid wood cabinetry. John wholeheartedly supports this trend and always prefers when clients choose real wood over building materials that are not sold in their “original form.” In general, solid woods, including maple and oak, are easy to work with, stainable, and paintable. Budget-minded folks interested in sticking with wood should look into the ever-popular poplar. In a way, kitchen cabinets are the feature attraction and the glue holding your kitchen together. 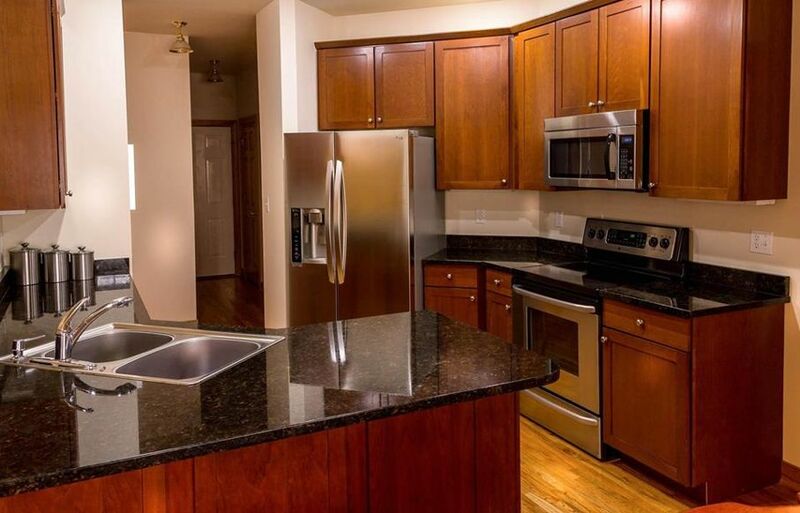 With the right layout and material, your kitchen is going to be the envy of everyone on the block. Next to the kitchen, bathrooms are one of the best places in your home to get a high return on investment. Simply put, when you put money into your bathroom, when you decide to sell, you’re bound to see a good return. Aside from thinking about the bottom line, it’s also important to feel comfortable in your own home. And, for some reason, many of us tend to think of our bathrooms as the ultimate sanctuary. Do you know what’s better than drawing a hot bubble bath after a long day at work? Glancing up and seeing cabinets that are not only functional, but beautiful as well. 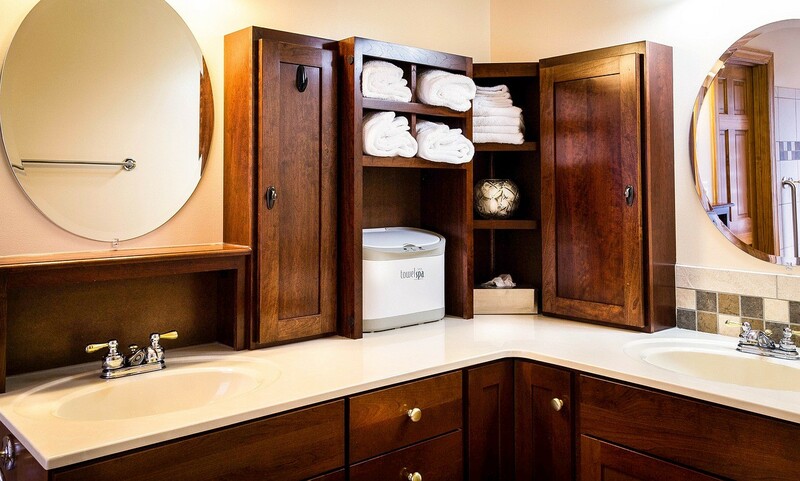 If you’re planning on installing custom cabinets in any room of your home, the bathroom is the easiest room, according to John. Adding recessed shelves behind a door or an extra cabinet over the toilet will help keep all that clutter away from your sink, and tucked away where it belongs. When installing new bathroom cabinetry, think about how much you expect to store and how you want to store it. Consider a few open shelves where you can place items you frequently use in small wicker baskets or in decorative containers. Custom cabinetry and shelves give any home a unique edge. Shelves: Built-in shelves are ideal for areas like living rooms and studies, where you need storage for books, knickknacks, photographs, and more. Bedrooms/Children’s Rooms: If you have small children, custom cabinets are ideal for their bedrooms because they are a much safer alternative to tall tippable dressers. Work with a custom cabinetmaker like John to design cabinets that match your child’s room decor and can store your child’s clothes, accessories, and toys. Tiny Living: Whether you chose to live in a “tiny house” or your home just seems tiny because it’s filled to the brim with stuff, custom cabinetry may be the answer to your problems. John and his team can help you effectively use every last bit of space under your stairs, in corners, etc. to add storage where it’ll be of best use. The right cabinets genuinely do make all the difference. If you live in the Mount Vernon area, be sure to give John over at Upgrade Cabinets a call. He’ll run you through everything you need to know to get started enjoying practical, beautiful custom cabinets.